Before I go any further, put yourself in my shoes : what would YOU answer ? You can read more about the description for each level here. This classification is a useful way to assess the level of a student learning a foreign language. 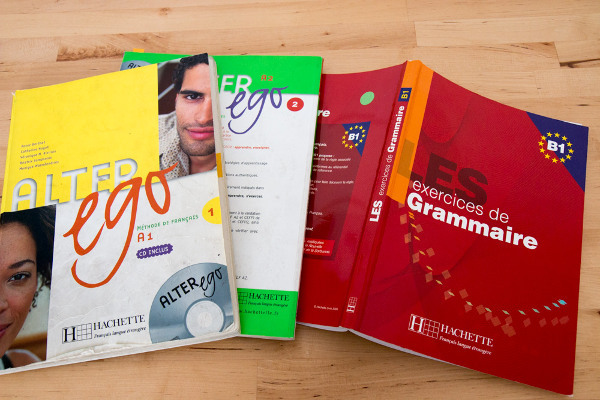 These French textbooks show the CEFR level on their covers. These levels are also the ones used in the DELF/DALF certification. And if you’re thinking about going to study at a French university, you will be required to show that you have at least a B2 level (B2 of the DELF certificate or the corresponding level 4 of the TCF or TEF tests). Your own ability to learn a foreign language (some people are faster / slower than others). Your progress rate. You may plateau sometimes, i.e be at a standstill, without noticing further improvement. That is quite a normal part of the learning process (you can also experience these plateaus when you learn a new instrument). Can you learn French in 3 months ? As we’ve seen, there are so many variables that it is impossible to tell how long it takes to learn a language. But what I know is : the best way to succeed in learning a language is to be passionate and/or have a big motivation for it because language learning will inevitably require that you invest time and effort. For instance, one of my students has grandchildren in French Canada and wanted to be able to read them stories and bound with them in French, so that was a big why for her. You may love French cuisine and want to be able to understand the menu and order in French at the restaurant on your next trip. You may want to read a book in French, etc. When are we fluent in a language? Maybe we should ask ourselves : when do we actually consider that we are DONE learning a language ? Is there really such a thing as a finish line?? I would be interested to know what you think, because even after several years living in Australia, speaking English fluently, reading tons of books and articles in English effortlessly, and writing articles like the one you are reading right now, I am still learning new words and expressions EVERY day. 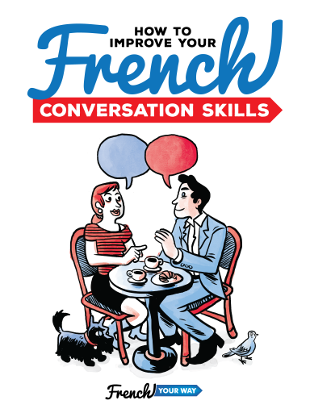 In fact, I don’t even consider that I know everything about French, my own native language, and yet I teach French and I have a deeper grammar understanding of this language than many other French people I know. I can’t understand a SINGLE thing on the boring legal documents from France, and I still discover new words in every crossword page I do – I love language games and puzzles. It’s actually exciting (apart from the boring legal papers) to have languages as part as a lifelong learning process. We should never stop being curious. Never stop educating yourself! 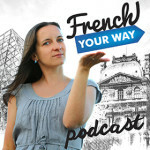 If you are are a more intermediate to advance level, then please check out French Voices Podcast, these are a series of interview with native French speakers who share their passion, it comes with some questions to test your comprehension and you can also get the full transcript of the conversation. 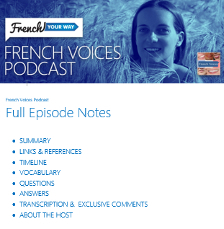 A new episode of French Voices is released on the 1st, and 15th of each month. And you ? When would you say that one is fluent in a language ? How long does it take to learn French ? Leave a comment in the section below!